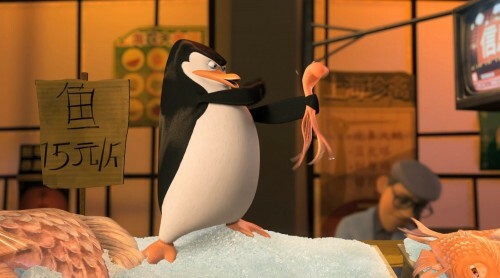 A new trailer for our favourite psychotic penguins has hit the web. It has it all. Intrigue, a fox with a British accent who likes tea and child abuse! Well, young squid abuse but the sentiment still stands. 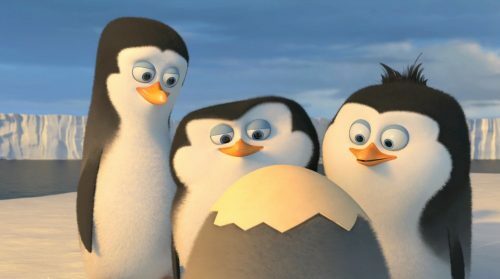 What we have learnt from this is that our heroes, Skipper, Kowalski, Rico and Private have been together since they were born. Becoming super-secret agents trying to save the world from evil. All by themselves from their home in New York Zoo. Their deeds havent gone un-noticed. The North Wind, a secret organisation, have recruited the penguins into their elite undercover organisation. They need their help in saving the world and capturing a madman. Sorry, a technologically disadvantaged, mad-squid called Dave. Will they succeed? Will they save the world? These answers and more will be answered in December when the film hits the Silver Screen. What more do you need to make it a success. Someone trying to take over the world. 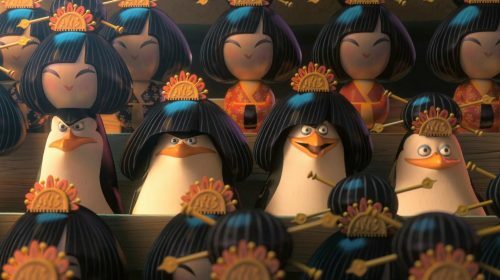 A super secret undercover organisation lead by a tea drinking fox, voiced by Benedict Cumberbatch, and a clutch of psychotic penguins! The trailer did make me laugh. I’m sure it will keep children of all ages amused. From the youngest who will just laugh at what the penguins are doing to the eldest who will laugh at some of the more adult, and pop cultural, references. We have some in the trailer. From Riverdance to older generations trying to get to grips with Skype.